PDF image of book cover. Foreign postage and expedited shipping extra. This bibliography is the first comprehensive attempt to identify, organize, evaluate and describe the extensive literature on the Arab community in the United States and Canada � which is referred to in this volume as the Arab-American community, unless one part is specified. The Arab community covered is defined as the immigrants to the U.S. and Canada from the Arabic-speaking countries of the Middle East and their descendants. The Arabic-speaking countries today include the following: Algeria, Bahrain, Egypt, Iraq, Jordan, Kuwait, Lebanon, Libya, Mauritania, Morocco, Oman, pre-1948 Palestine and the Palestinians, Qatar, Saudi Arabia, Sudan, Syria, Tunisia, United Arab Emirates and Yemen. Somalia (1974), Djibouti (1977) and Comoros (1993), though not fully Arabic-speaking, became members of the League of Arab States in the years indicated. The Arab-American community is little known or understood. Furthermore, with the arrival of new immigrants, the composition of this community, whether in the United States or Canada, is constantly shifting in terms of religious affiliation, country of origin or socio-economic background. 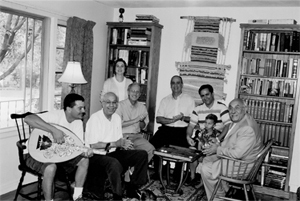 The historical roots and evolution of the Arab-American community, and its relationship to American and Canadian society and culture, has been the basis of much scholarship and other writings. This bibliography documents that literature, and provides a road-map to understanding and inclusion. 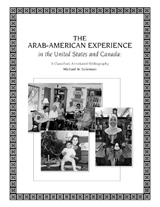 This is the most comprehensive bibliography on the Arab-American community ever compiled. 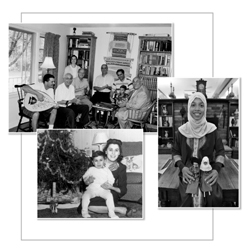 This bibliography covers every aspect of Arab-American life (in the U.S and Canada) from the very beginning until 2005. It includes the pertinent material in three main languages � Arabic, English and French, as well as occasional references in other languages. Not only are books and academic journal articles covered, but also articles in newspapers and popular magazines. This inclusiveness is important especially for Arab-American newspapers of the earlier period, which are difficult to locate and read on microfilm. Also covered are videos and web sites about the Arab-American community. Entries are arranged by subject in order to provide perspective on important issues. The author personally has checked/reviewed all the sources cited, and has provided content notes for each entry in this bibliography as well as information about his methodology and classification structure. Cross-references are provided where pertinent, and these are extensive. Author, Country of Origin, and Periodical Title Indexes are provided, which facilitate detailed access to the contents. Michael W. Suleiman is a leading scholar on the Arab-American community. He has worked on this project for over 25 years � in recent years nearly fulltime. He received two major grants from the National Endowment for the Humanities and the Fulbright-Hays Program (to do research in Egypt on Arab sources about Arab Americans), and many smaller � nearly annual � grants to help with related research. Over the years, he has been helped by at least three dozen student assistants. Suleiman�s publications on Arab Americans include two edited volumes: Arab Americans: Continuity and Change (with Baha Abu-Laban); and Arabs in America: Building a New Future. Race, Gender and Politics: The Struggle of Arab Women in Canada. In Linda Carty, ed., And Still We Rise: Feminist Political Mobilizing in Contemporary Canada, pp. 73-100. Toronto, Canada: Women's Press. Discusses the many marginalizations of Arab, especially Palestinian, women in North America, particularly Canada. Abraham, Nabeel, and Andrew Shryock, eds. Arab Detroit from Margin to Mainstream. Detroit, MI: Wayne State Univ. Press. 629pp. The best collection of articles and memoirs by and about Arabs in the Detroit area. Chapters cover many issues, including the demography and organizations of Detroit's Arab community, employment, religion (Shiites, Sunnis, Christians, including Copts and Chaldeans), political activity and activism, biography, culture (art, music, food), kinship, and more. Pictures.